Shares of Twitter, Inc. (TWTR) are higher by nearly 10% to $18.36 in morning trading on Monday after The Information’s Jessica Lessin reported that investor Marc Andreessen might partner with private equity firm Silver Lake to purchase the social network. In the past 52 weeks, shares of Twitter have traded between a low of $15.48 and a high of $53.49. Shares are down 54.20% year-over-year and 27.40% since the beginning of the year. 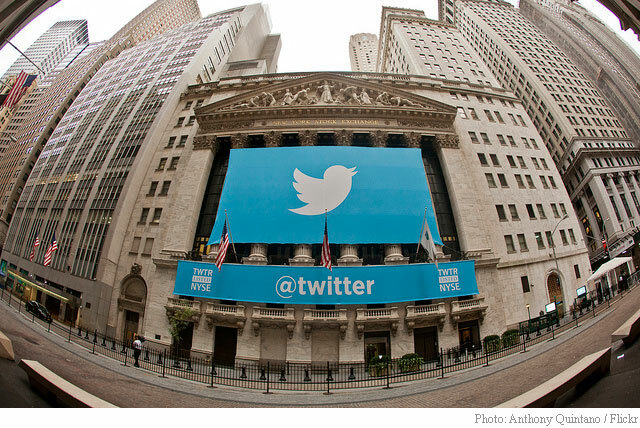 Twitter has a current market cap of $12.68 billion. Tesla Motors, Inc. (TSLA) – CEO Elon Musk disclosed Friday he increased his investment in the electric car maker. Musk exercised options to buy 532,000 shares of TSLA, increasing his holding by about $100 million worth of market value. The closing price of Tesla stock Friday was $191.20. Musk also covered the tax bill of more than $50 million with cash rather than selling some of his current holdings. Yahoo! Inc. (YHOO) shares fell 0.81% to $29.27 in early trading following a NYPost report that says CEO Marissa Mayer isn’t planning to resign despite calls for such. Sources also told The Post that Mayer is preparing to deliver a turnaround plan to Wall Street this week. Reuters details that EU’s chief Competition Commissioner Margrethe Vestager signaled on Monday her determination to go after Apple (AAPL), Starbucks (SBUX) and McDonald’s (MCD) over their sweetheart tax deals in the bloc. “Just as it is an obvious right for U.S. tax authorities to tax revenues when they are repatriated, it is also for European tax authorities to tax money that is made in the member states,” Vestager told reporters on the sidelines of a conference organized by the Global Competition Law Centre.